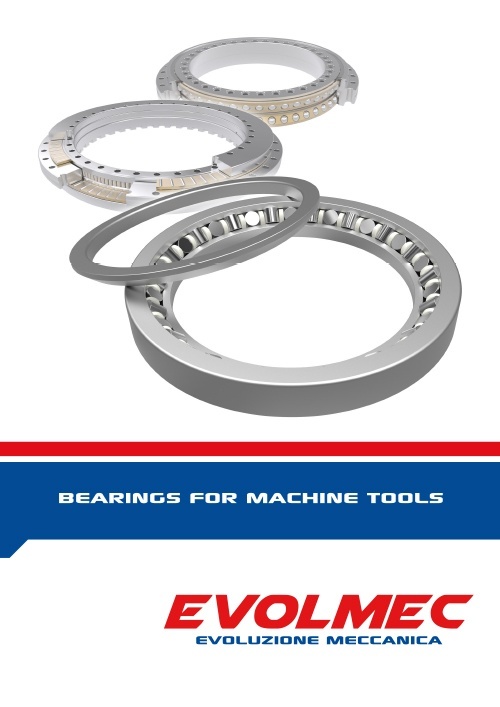 EVOLMEC precision crossed roller bearings are designed to provide the highest level of precision of rotation and stiffness, while saving space and cost of material. 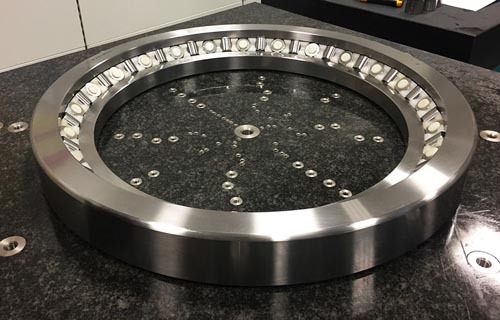 The bearing is characterized by two sets of tracks and rollers put together at the right angle with the faces of the rollers alternated in opposite directions. 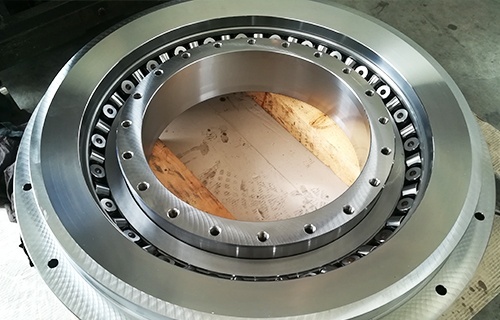 Capable of supporting high tilting moments, the crossed roller bearing is ideal for machine tools rotary tables, including boring machines and vertical grinding machines. Suitable especially for oscillating applications and stands where the space is limited or the lowest possible center of gravity of the rotating mass is required.